The amount of space in this case would put some stadiums to shame! Made for extremely easy installation of components and swapping parts. More than generous drive slots and cable routing options. -My motherboard's (asrock x99 extreme4) usb 3.0 header just so happens to align right next to the case's usb 3.0 front connector. This wouldn't have been a big deal if I had a means to tuck it away somewhere. The problem though is that it is too short and stiff to wrap it through anything and too long in that it sticks out in front of the 120 mm fans like a sore thumb. This is a really minor gripe though and for a lot of motherboards that dont have the 3.0 header in the front it won't even be an issue. I bought the HAF a solid year before I even started the computer. I would have liked to go with a different case. Not to say that there is anything wrong with it, it was superb to work with and build, just a different taste preference. Would give this thing 6 stars if I could. Honestly, 10 if I could. All the room you could ever want, hot swappable drives, and wiring under the tray means everything looks crisp and clutter free. 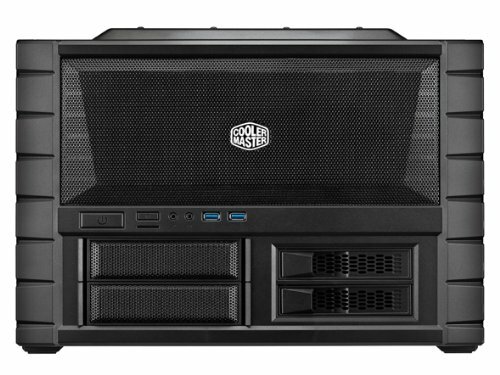 It's a dream to keep cool, even without filling up the massive quantity of fans it supports. I would buy three of them if I could. Best case I've ever used. Easy to work in with plenty of room to assemble the components. All the sides come off and the motherboard mounting tray comes out, which makes installation a breeze. I elected to add more fans, but they were easy to install. Case is not one of my favorites. Had to pick it because it fits under my desk drawers. Not really nice to work in since you have to remove everything to change something in the bottom compartment. Not really your mainstream form factor. So it's not for everyone. 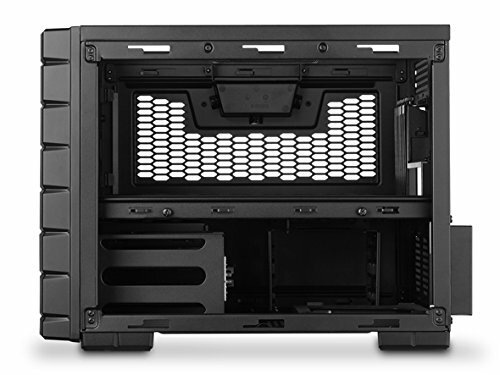 Quite spacious, but bear in mind that if you use a very huge VGA like ZOTAC amp edition, you will not be able to install a radiator. The clearance between the end of the VGA to the wall of the casing is way too narrow. I was planning to do a push/pull on my rad, but unfortunately the gap between the MSI 1070 and the radiator is too narrow to fit additional fans. So in the end I did a pull configuration with fans attached to the other side of the wall (inside the front panel). 2 Hot swap HDD slots in the right side of the front panel, 2 more slots inside the casing under the motherboard at the left corner and 2 5.25" bay for DVD or blue ray in the left side of the front panel. Cable management proved to be quite tricky since you will need to hide the cable under the motherboard panel. And the only clearance to do that are from the sides having the side panels removed. 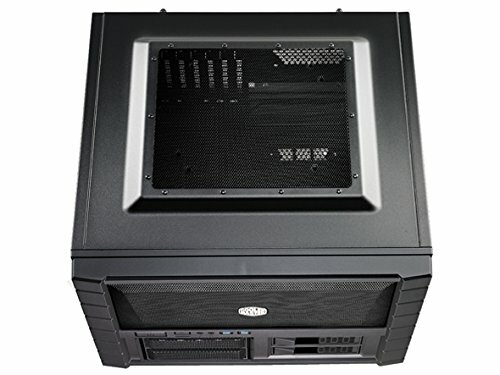 I do really love this case, like I mentioned above this is a LAN box/console replacement, just being able to pick it up and toss it in the Pathfinder it great with the built in handles, construction is solid and it is a dream to build in with the separate levels. I removed the secondary hard drive cage and made a clear opening for cable storage and air flow from the noctua fans. Amazing case. Really easy to work with and so much room.